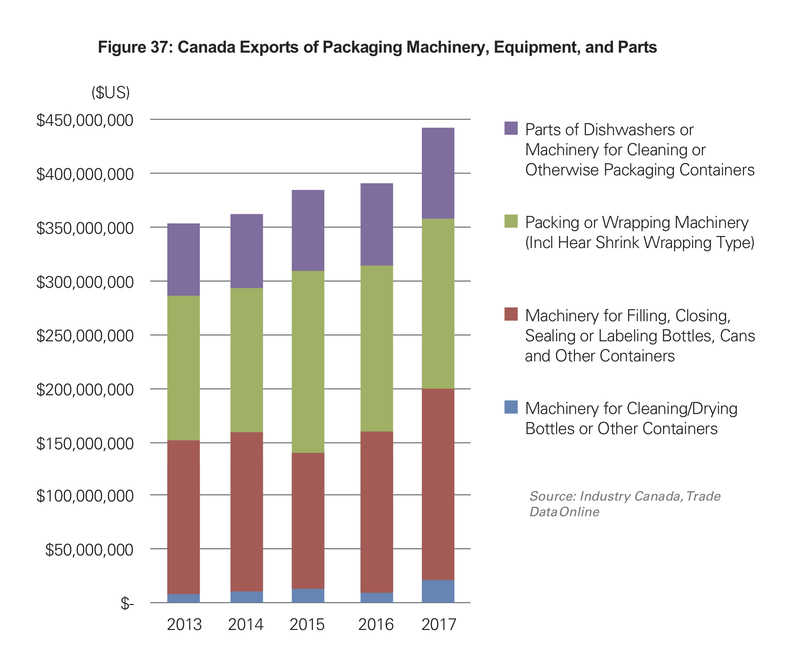 According to PMMI Business Intelligence’s new report “The Market for Packaging Machinery in Canada 2018,” the value of Canada’s U.S. imports remained relatively constant from 2012-2015, and grew substantially from 2015 to 2017. Parts is the area with the greatest growth. The U.S. is usually the primary source of packaging equipment - between 35% and 40% of the value of imports. Germany is typically the second largest exporter to Canada, representing about one-fifth of Canadian imports, though Italy is occasionally larger. Chinese and Swiss suppliers each have about 5% share of imports, although China’s share has grown. 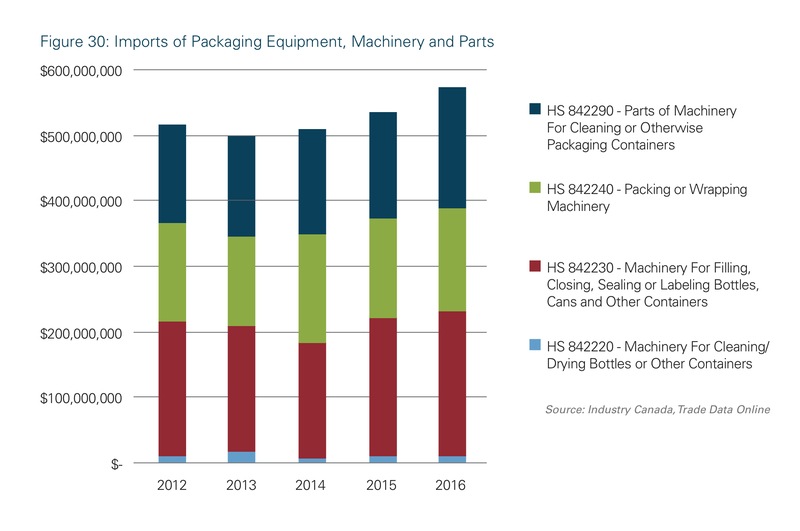 Most of the growth in the last five years in both filling, closing, sealing, and labeling machinery, as well as equipment for cleaning and drying bottles and other containers occurred in 2017. Exports of packing and wrapping machinery have fallen in the last three years. Of all of the Canadian export growth in 2017, 95%, resulted from an increase in exports to the U.S.
Download the FREE executive summary of this report, or, PMMI Members can download the entire report for free here.